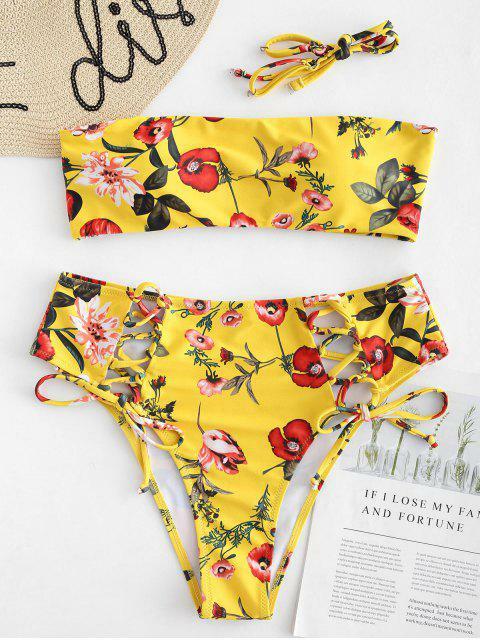 [15% OFF] 2019 Floral Lace-up High Waisted Bikini Set In YELLOW | ZAFUL .. 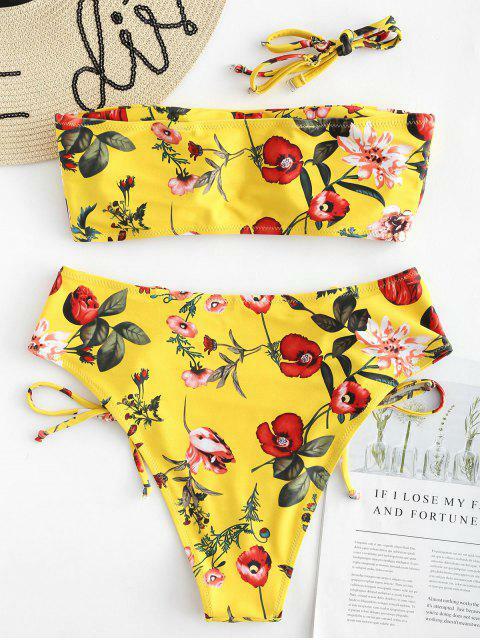 I love this bikini. Really good quality and so pretty. The straps can fall off kinda easily but I wanted to wear it strapless anyway. Came in less than 2 weeks and I'm very happy with the product. 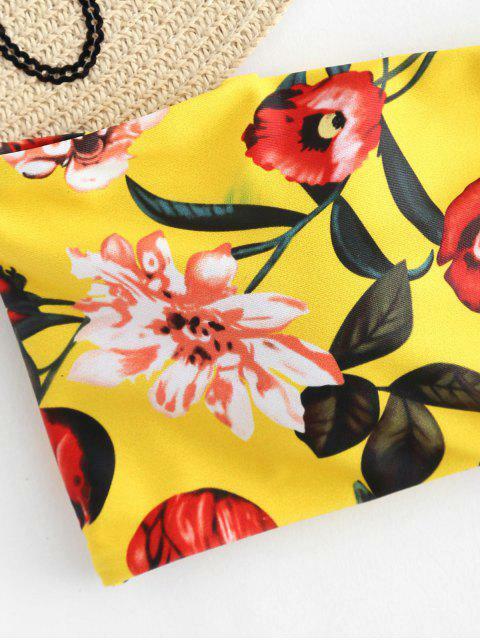 Detailed with summer-appropriate florals, The bandeau top has removable paddings, detachable spaghetti straps design for double-way dressing up, and the pairing bottoms sit high on the waist and are detailed with lace-up at both sides for a head-turning look.